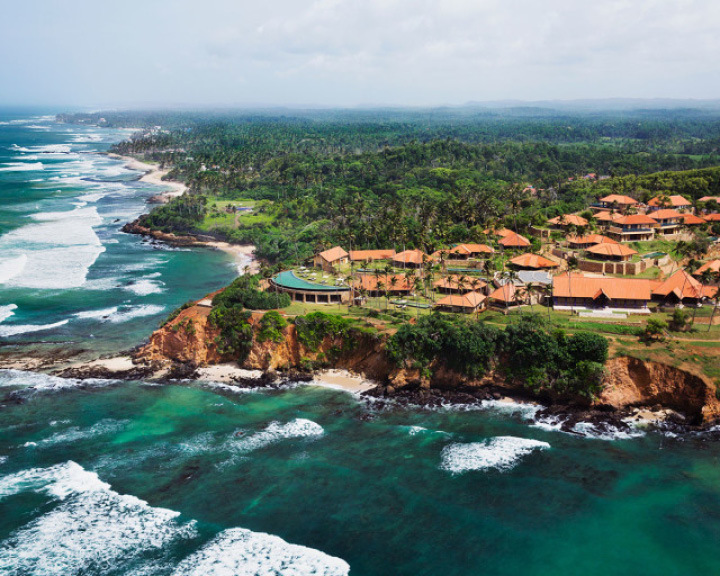 I whizz down the path outside my luxe villa in an electric buggy, past frangipani and palm trees, and views of the Indian Ocean. 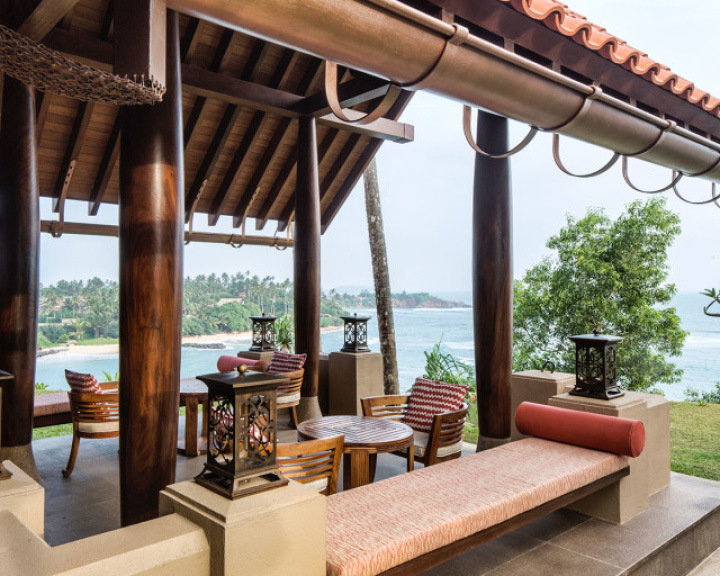 This is the therapeutic setting for Cape Weligama’s luxurious spa experience. Sanctuary Spa is set close to the reception in a dedicated villa with minimalistic treatment rooms. Here, I start my massage with a warm drink—black tea with cinnamon, spices and palm sugar—and change into a loose bathrobe and straw slippers. Sanctuary Spa uses two main ingredients—Ceylon Tea and cinnamon. 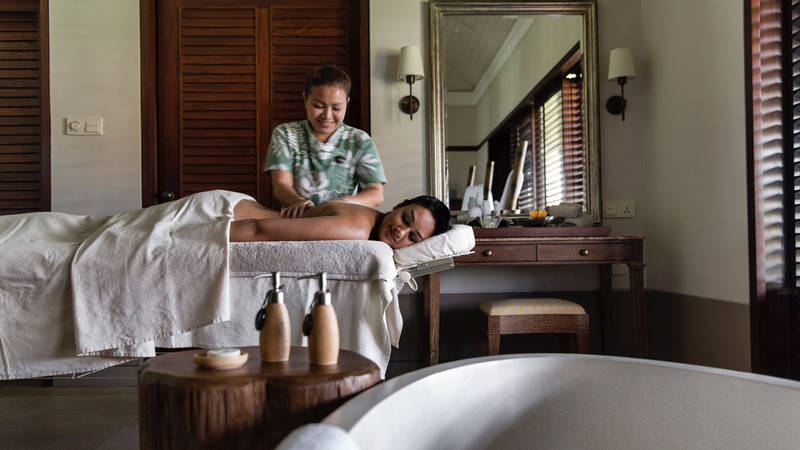 I choose to experience the ‘Signature Massage’, a fusion of therapeutic strokes. You can pick from an array of essential oil blends such as lemongrass, cinnamon leaf, nutmeg, palma rosa, black pepper, and ginger, all of which have therapeutic properties. The unique element is that the essential oil blends incorporate Ceylon tea, known for its antioxidant, anti-ageing and calming properties. As I lie down on my stomach, listening to the soothing music, I feel my masseuse work her magic. She loosens every knot in my back and thighs until I am almost levitating. What makes the massage extra special is the use of warm, healing compresses. These homemade poultices filled with Sri Lankan spices work on the different muscle groups and aid relaxation. The massage ends with a facial, pressure points massage, and a relaxing head massage with warm coconut oil. The spa also gives you the option to have the therapies in your room at the villa, which has a humongous bathroom. And you can finish with a steam session and a warm Ceylon salt bath. Post massage, I have a refreshing mocktail with cinnamon at the Cape Club overlooking the ocean. I feel light, energised and refreshed—all signs of a good massage.